I got an email out of the blue this morning from a distant Burkey cousin. 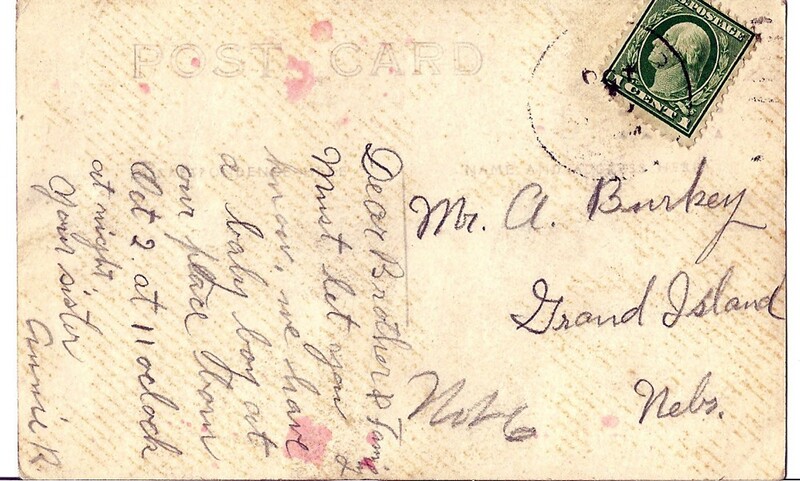 She had this postcard in her collection. 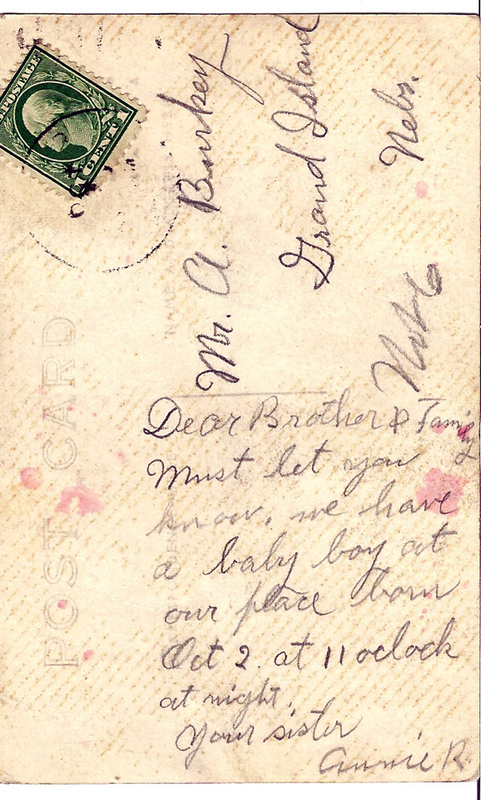 The back side was written by Annie Rademacher, announcing the birth of Joe, Jr. born October 2, 1917. 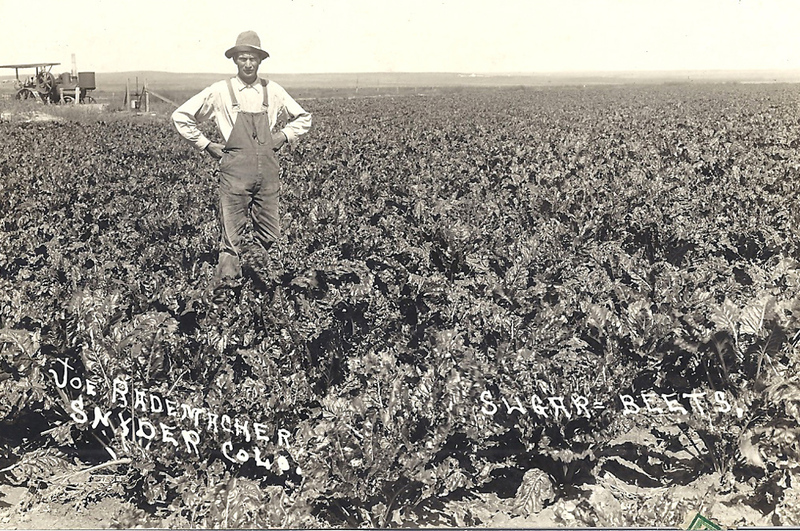 The front is a photo of Joe Rademacher standing out in a beet field. This is just the most awesome photo EVER (and that’s a pretty good-looking crop of beets, too! ).